During summer holidays, offices and facilities of the Università degli Studi di Torino (University of Turin), of the Politecnico di Torino and the Istituto Universitario Salesiano Torino Rebaudengo listed below will close or change their opening hours. The Students registry offices (Segreterie Studenti) of the different Departments, Sezione Diritto allo Studio (former Ufficio Tasse, Vicolo Benevello, 3/A – first floor), Ufficio Esami di Stato (Vicolo Benevello, 3/A – III floor) will be closed from August 6 to August 24, 2018. Reopening will be on August 27, 2018. 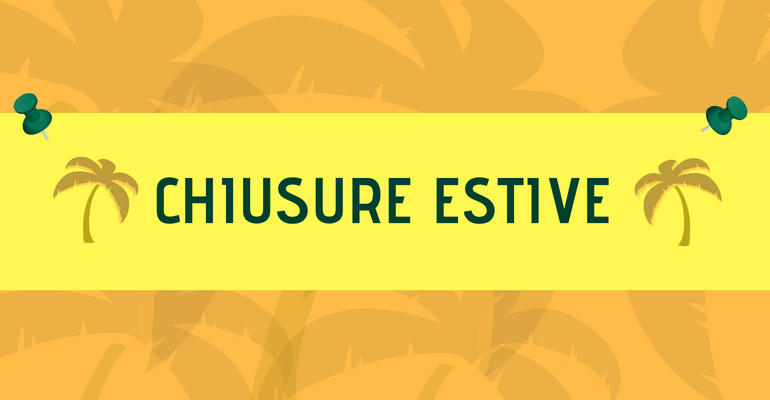 Tickets sent during closure time through the Help Desk service (Help Desk della Direzione Didattica e Servizi agli Studenti) will therefore be examined from August 27 onwards. During closure time, students will receive information and help by calling 800 098590, from Monday to Friday, from 8 AM to 8 PM; and from 8 AM to 1 PM on Saturdays. The office for disabled and ASD students (Ufficio Studenti con Disabilità e DSA – Via Po, 29) will be closed from August 13 to August 17, 2018, while from July 30, to August 31, 2018, opening hours will be the following: Monday-Friday, from 9 AM to 1 PM. The Infopoint (Via Po, 29) will be closed from August 13, to August 24, 2018, while from August 1, to August 10 and from August 27 to August 31 opening hours will be from 9 AM to 4.30 PM. All administration offices of Cittadella Politecnica and Castello del Valentino will be closet from August 6 to August 18, 2018. The Studenti della Segreteria Desk will be closed from July 30, to August 24, 2018.